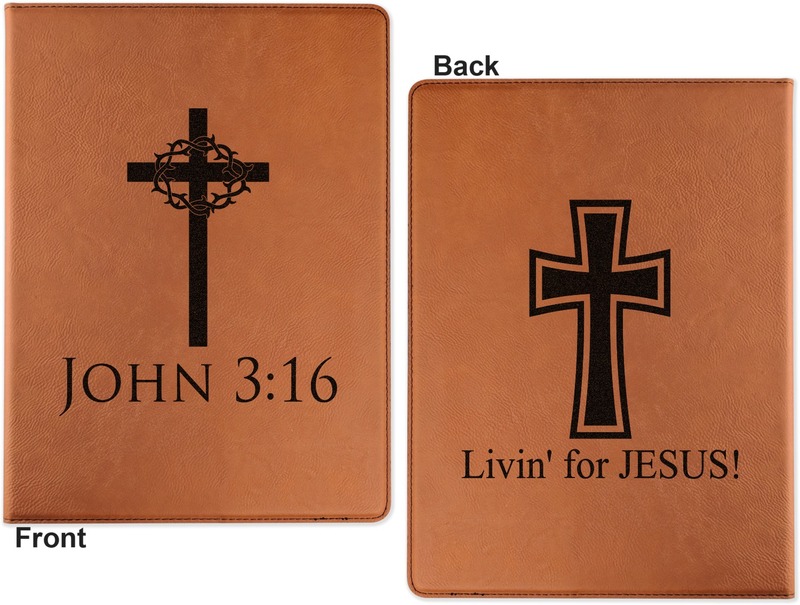 The leatherette material is so smooth and is a beautiful shade of cognac brown. The portfolios come in a Small size, approximately 7" x 9", and a Large size, approximately 9.5" x 12". On the inside of each portfolio there is a slot for loose papers that runs along the left side of the portfolio. On the same side there is a small pocket that is the perfect size for a few business cards. 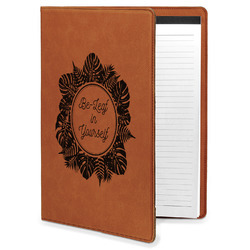 On the right side of the portfolio is a slot for the notepad that comes with each portfolio. Directly in the middle there is a small elastic band to hold a pen or two. 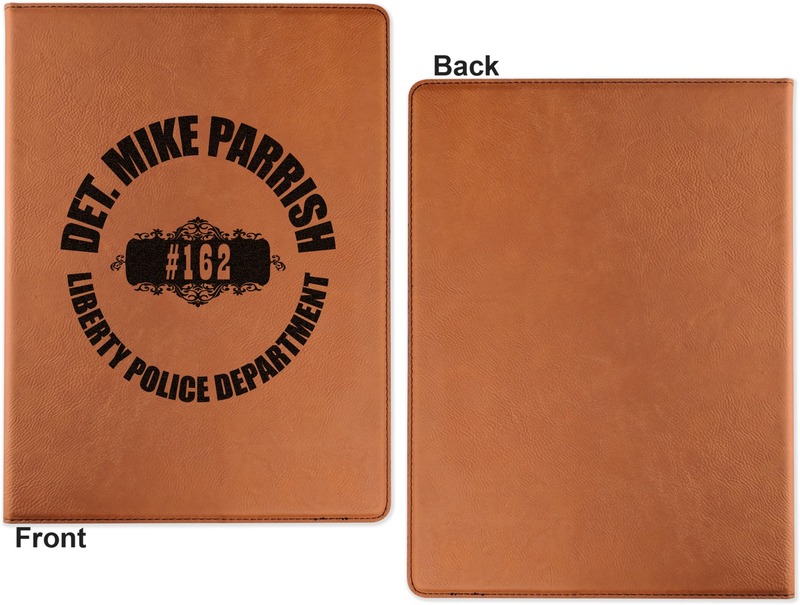 Go into our design center and start designing what will be laser engraved into your portfolio. Choose from our monograms, fonts, or quotes to find something that will fit your personality! Don't hesitate to ask us to help with any minor changes or specifications you have. We are always happy to help! Be sure to check out our leatherette mouse pad and journal as well as other custom products in our Office + Desk Accessories section. Unbelievable! I still can't believe I've purchased an item of THIS top quality for such a low price. 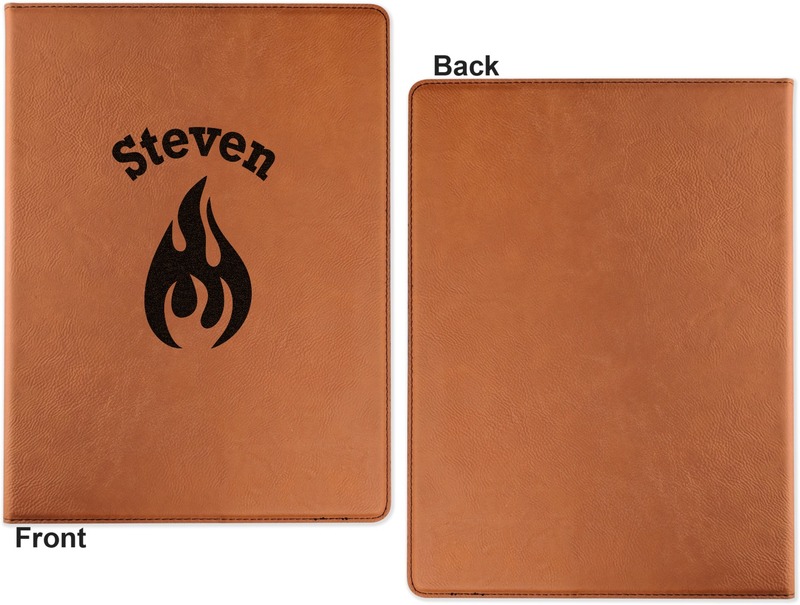 Very VERY pleased with the personalized portfolio notepad! I had bought this in hopes of being able to store documents in the left side pocket but it’s not big enough to easily slide paper in and out. 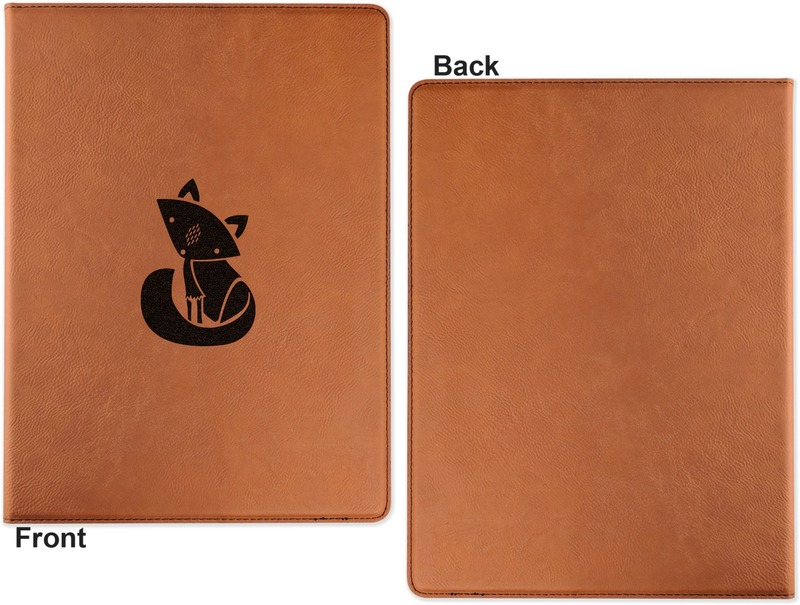 Otherwise the portfolio itself is well made and I love the fox on the cover. The custom design website was user friendly / easy to use. I did call the company to assist in the design and they were easy to reach and very helpful. The product is good quality for the price and the design / print came out perfect. I purchased the product for myself and would recommend this website to others. The entire process was quick. It’s exactly what I wanted and it will make a perfect Fathers Day gift. I would definitely use them again and recommend it to others.